The split-level home we purchased when we moved to Washington has given us many challenges for home schooling. Because the kitchen, dining room and living room are basically one room, and we don’t have the luxury of having a “school room”, we have need to fit everything into this room, without making it look like a school room. I need things to be convenient, accessible, organized, attractive and inexpensive. This has been a lifesavor. Called the Quilting Mate, it cost $12 at Wal-Mart. I priced them in craft and sewing stores for 2-3 times as much. 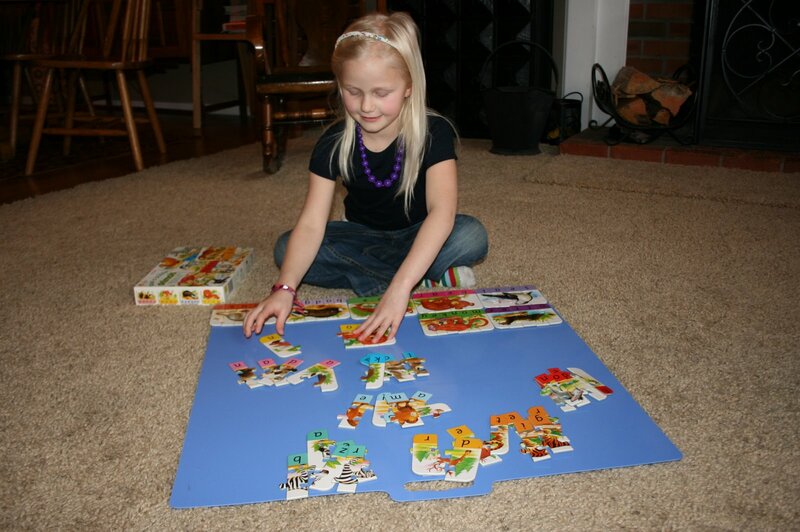 We use it for putting together puzzles, coloring, crafts and painting. It has a washable surface, keeps the dining room table free (especially if it is near meal time) and can be shoved under the couch for storage. Our favorite useage is for puzzles, since we can keep storing it under the couch until it is completed. 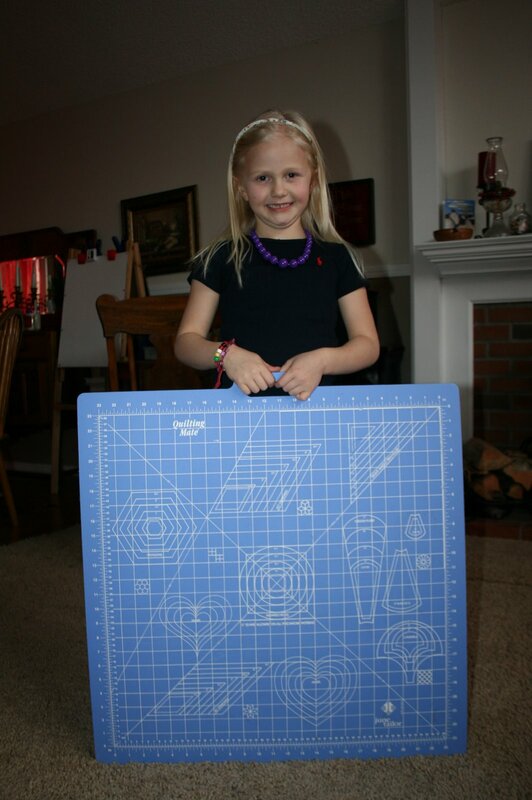 This entry was posted in organizing your home school on March 23, 2009 by Mindy.